Summer might be winding down, but summer concert season is still in full swing. When you’re running one of these awesome events, you want to make sure that they stay as orderly as possible. Concert-goers get very excited when they get to see their favorite band live, so it is important to ensure that everyone stays safe. The best way to do this is with a highly-organized and easily-recognizable security staff. 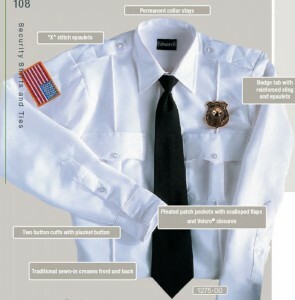 You can achieve this with the right kind of Security Uniforms from Sharper Uniforms! If you’re running a smaller event, you can outfit your security staff in Security Jackets and Vests. Uniforms like this will make your staff easy for concert-goers to find, but you can still maintain a low-key setting. The security staff looks organized and authoritative without being intimidating. Uniforms like this are perfect for outdoor orchestra concerts, big band concerts, and some smaller venues. If you’re running a larger event, you might want your security staff to look a bit more formal. Fortunately, we also have a great line of Security Shirts that fit the bill. The Unisex Poly/Cotton Security Shirt is durable, and available with short or long sleeves. To add a little extra security flavor, this shirt also has a badge tab with reinforced sling. Your security staff will really look the part in these shirts. Whatever kind of summer concert you’re running, it’s important to have a good security staff. After all, we want everyone to stay happy and safe!